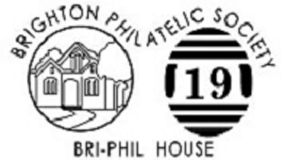 New Membership – Pay by Funds Transfer – Brighton Philatelic Society Inc. Note the total amount to be paid. Make your payment for the amount owing. Step 2: Please complete the Application Form. You can print the form and fill it in by hand. You can enter your details into the form and then print it and sign it. Step 3: Please Note the Total Amount Owing. Please take a note of the total amount owing as shown on the completed form. Step 4: Please Make Your Payment for the Amount Owing. If you are submitting your payment using Internet Banking, you should copy-and-paste the BSB number and account number shown above in order to avoid typing errors. Step 5: Please Send Your Completed Application Form to Us.